Many people alone in forests at night have developed a suspicion the trees are somehow awake and moving. Tolkien made use of the idea in the Old Forest and Fangorn. Science has found there is more to the fear than folklore or general paranoia – some trees raise and lower their branches several times in the course of the night, indicating a cycle of water and sugar transportation, like their own version of a heartbeat. We still don't know why, however. Plants need water to photosynthesize glucose, the basic building block from which their more complex molecules are formed. For trees, this means drawing water from the roots to the leaves. This takes place during daylight hours, or so we thought. New studies have shown things are much more complex than that. Tracking the movement of water through tracheids, the plant equivalent to veins, in trees isn't easy, but there are other ways to learn what is going on. During the night some trees lower their branches by up to 10 centimeters (4 inches) before raising them again with the Sun. The process is so slow and subtle until recently we thought only certain families do it, but we are now learning it is more widespread. 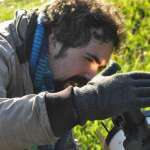 Dr András Zlinszky at Aarhus University, Denmark, used a laser scanning technique to measure the exact location of branches and leaves of 22 tree and shrub species. Last year he published observations of substantial unexpected movement cycles. "We detected a previously unknown periodic movement of up to 1 centimeter (0.4 inches) in cycles of two to six hours," Zlinszky said in a statement. "The movement has to be connected to variations in water pressure within the plants, and this effectively means that the tree is pumping. Water transport is not just a steady-state flow, as we previously assumed." Most operated on different cycles from the anticipated lowering of branches to “sleep” at night and raising them again in the morning. Most distinctively, a magnolia (Magnolia gradiflora) goes through three full cycles of adjusting its branches, indicating changing water pressure and therefore pumping during the course of a night. Now, in the journal Plant Signaling & Behavior, Zlinszky has put his findings in context with other research, some of it dismissed as measurement errors at the time. This includes reports tree trunks shrink and expand slightly over the course of a night. The work is just one example of a growing body of literature showing trees have secret lives, capable of sharing resources and communicating messages. Besides verifying centuries of folktales (albeit to a very small degree) the work could be useful. The authors hope deviations from normal movement patterns could provide a way to diagnose stress and disease in trees, allowing early interventions.